With its turquoise waters, diverse wildlife and spice-scented volcanic peaks, Grenada and its sister islands of Carriacou and Petite Martinique are home to a planet’s worth of natural attractions. 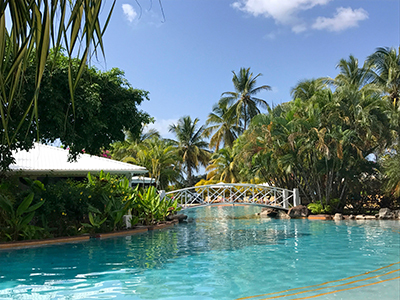 Although it is still under-the-radar for mainstream travellers, this three-island destination located in the eastern Caribbean south of Barbados is fast drawing the attention of independent travellers who are fascinated by the archipelago’s beauty and rich cultural traditions. An ideal place to begin exploring Grenada is in the capital city of St. George’s. First settled by indigenous Arawak and Caribs, St. George’s was founded in 1649 by the French, who established Fort Royale (later named Fort George after the island was ceded to the British). Wrapped around a horseshoe-shaped harbour, the capital served as a military focal point, a hub for commercial trade and as an administrative centre. Today, visitors can delve into this past within St. George’s historic district, a collection of buildings featuring fine examples of Georgian architecture. You’ll also see Gothic Revival influences such as flying buttresses, decorative gingerbread trim and stained glass among the inventory of designated buildings. Well worth a stop are the Grenada National Museum, housed within a building that served as the French barracks in 1704, Fort George for its panoramic views and Market Square, home to a bustling daily market brimming with handicrafts, tropical fruit and vegetables as well as spices such as locally-grown nutmeg, cinnamon, allspice and turmeric, all highly prized during the colonial period. Learn more about the products of the “Spice Island” at Laura’s Herb & Spice Garden, an educational botanical project located at the southern tip of the island. A guided walk illustrates how Grenada’s rich volcanic soil is fertile ground for plants such as mauby, soursop and shadow beni, a leafy herb somewhat similar to cilantro. All contribute to the unique flavours of Grenadian cuisine, a delicious mix of African, Arawak, French and British influences. An hour from St. George’s is Belmont Estate, a 17th century plantation located in the mountainous slopes of St. Patrick. Here, the experience begins with a “cocoa walk” through the plantation itself. It is surrounded by towering madre de cacao, a tangerine-blossomed tree that provides protective shade for the cocoa trees. 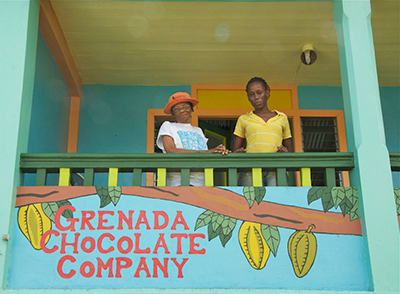 Also located at Belmont Estate is the Grenada Chocolate Company, a solar-powered, tree-to-bar cooperative at the edge of the Mt. Hope rainforest. Here, visitors can tour the facilities and experience artisanal chocolate production first-hand. The Grenada Chocolate Company cultivates almost exclusively the Trinitario cocoa bean, a variety prized for its intense and complex flavour. Within the processing area, the cacao beans are hand-harvested, fermented and sun-dried naturally. The beans are then polished traditionally by workers who “dance the cocoa” by turning the beans with their feet in a giant copper bowl or in drying trays. After drying, the cocoa beans are roasted and processed into chocolate of exceptional flavour. Another fascinating stop in Grenada’s interior is River Antoine Estate & Rum Distillery, home to the Caribbean’s oldest functioning water-powered distillery. Workers harvest the sugarcane by hand and the rum-making process is powered by nature. Much like the plantation’s terrain, Rivers Rum, produced in strengths up to 150 proof, is not for the faint of heart. Grenada’s treasures are not just of the edible variety. Its mountainous interior is home to diverse wildlife including opossum, armadillo and mona monkeys, a West African species that was transported to Grenada aboard slave ships in the 18th century. Take a nature hike in one of Grenada’s wildlife havens such as protected Grand Etang National Park and you can expect to see tree boas, green iguanas and several species of lizards. Bird-watchers can fill their checklists with sightings of the 177 species of birds spotted in Grenada including whistling ducks, the endangered Grenada dove and nine species of hummingbirds. More discoveries await in Grenada’s coastal zones which feature 40 white sand beaches, 30 dive sites and pristine coral reefs. 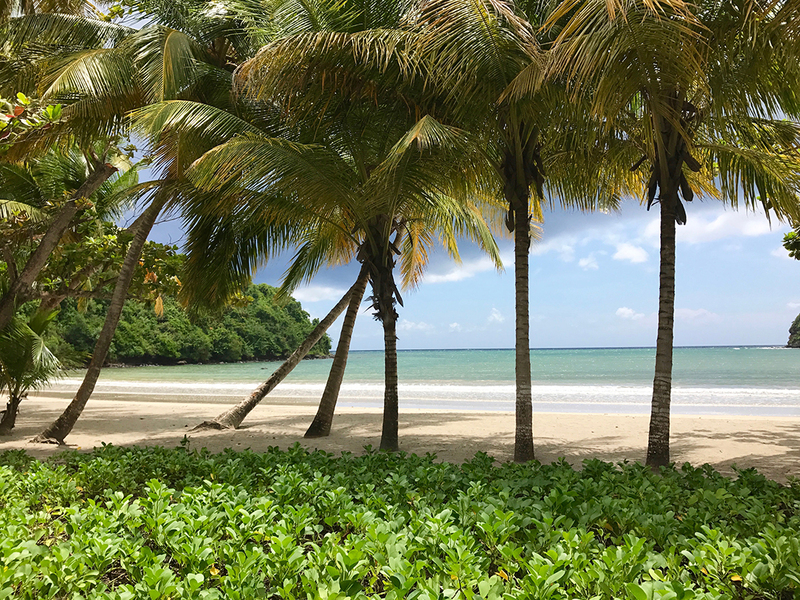 The government officially announced the launch of its fourth marine protected area, the Grand Anse Marine Protected Area, stretching south from the Port Louis Marina and encompassing Grand Anse Beach, widely considered one of the world’s top beaches. The best way to experience Grenada’s coastal attractions is on a boat excursion to the Grenada Underwater Sculpture Park, the world’s first underwater sculpture museum and an innovative ecological marine project intended to raise awareness about the fragility of the world’s environment. First created by British artist Jason deCaires Taylor in 2006, this underwater gallery features more than 100 statues installed beneath the sea in Molinere Beausejour Marine Protected Area. Designed to help the ocean ecosystem regenerate after being damaged by Hurricane Ivan in 2004, the installation has become a vibrant artificial reef draped with coral and teeming with marine life. The main works of art are located in shallow water close to shore. Snorkeling tour operators include the Grenada Seafaris Powerboat Adventure departing from St. George’s harbour and suitable for swimmers of all abilities and Savvy Sailing, where guests sail along the coast in a handcrafted Carriacou sloop. These traditional vessels made of locally harvested wood are ideally suited to the waters of the Grenadines. 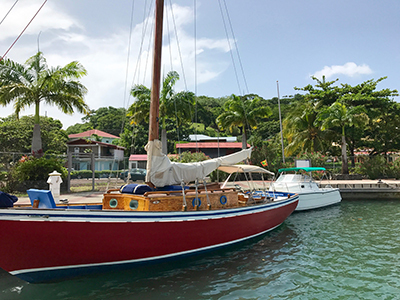 You can see these slim, fast sloops in action each August during the Carriacou Annual Regatta, an event that’s been drawing international spectators and participants since 1965. 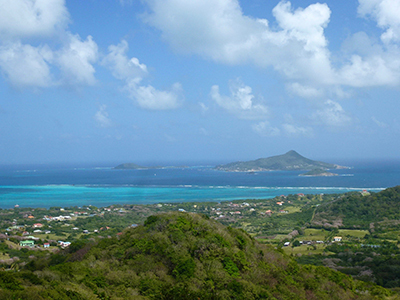 In addition to their boat racing and building traditions, the tiny islands of Carriacou and Petite Martinique (dependencies of Grenada and accessible via ferry and inter-island air) are also known for their well-preserved music and dance customs. Not to be missed are the Carriacou Maroon and String Band Music Festival held in the months of April and May, plus Big Drum Nation Dance and Shakespeare Mas, a unique event drawn from European and West African tradition which features competitive verbal dueling of speeches from Shakespeare’s Julius Caesar by pairs of costumed performers during Carnival. Throughout the year, it’s possible, if the timing is right, to witness one of the boisterous ceremonies in the village of Windward, Carriacou where boat builders and their community of enthusiastic family, friends and onlookers launch newly built sloops from the beach into the water. Tours: Roger Augustine, owner of Grenada-based Ambassador Tours & Taxi, offers personalized excursions, transfers and tours with authentic Grenadian experiences.Michele Peterson is a Cobourg-based travel journalist.